Sleepers who struggle with neck pain may have a hard time falling asleep, staying asleep, or waking up refreshed and pain free. Not only is neck pain an annoyance, but it can lead to further pain like back pain, hip irritation, or other sensitivities. The neck houses the tip top of the spinal column, which houses the cervical nerves, where bones are small and tiny muscles and tendons can get tweaked easily. A pain in the neck can cause irritation or sensitivities to the rest of the spinal column and beyond. These issues can last a couple of nights or a lifetime if not addressed. 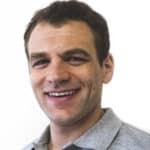 This guide will review some of the most common causes of neck pain and how to deal with them, as well as highlight some of our favorite pillows for neck pain. Follow along as we break down the causes of nighttime neck pain and what you can do about it. Continue immediately below for our best pillow recommendations for neck pain or click here to skip down to the complete guide on dealing with neck pain. Disclaimer: I am not a doctor or any type of medical professional. This guide is meant to serve as a starting place and a general reference for how pillows, mattresses, and sleep can impact neck pain. You should always consult your doctor for medical advice. If you have a life threatening emergency call 911. Not only is it a nuisance for sleeping, but living with neck pain can be a real pain in the… neck! I recently corresponded with a local chiropractor here in Arizona to get the low-down on neck pain. The following quotes are from Dr. Jason Loth, D.C., C.C.S.P., C.S.C.S, C.M.T.A. He has been a practicing sports chiropractor in Gilbert, AZ, for the past 18 years. As previously stated, neck pain isn’t the only pain sleepers suffer from. Sleepers may struggle with neck pain, hip pain, back pain, or other types of joint pain. While not occurring as often as lower back or hip pain, neck pain and headaches are both very prevalent and can drastically diminish one’s health and significantly reduce one’s quality of life. This is especially true if the pain is coming from a deep structural problem such as arthritis or disc degeneration. These structural issues can develop from poor postures, such as work posture (standing / sitting in poor posture all day) and sleeping posture (sleeping on ordinary, non-supportive pillows). For these reasons, it’s important to address neck pain with the proper mattress and pillow support. Support is vital to ensure that your neck, back and shoulders maintain proper alignment. 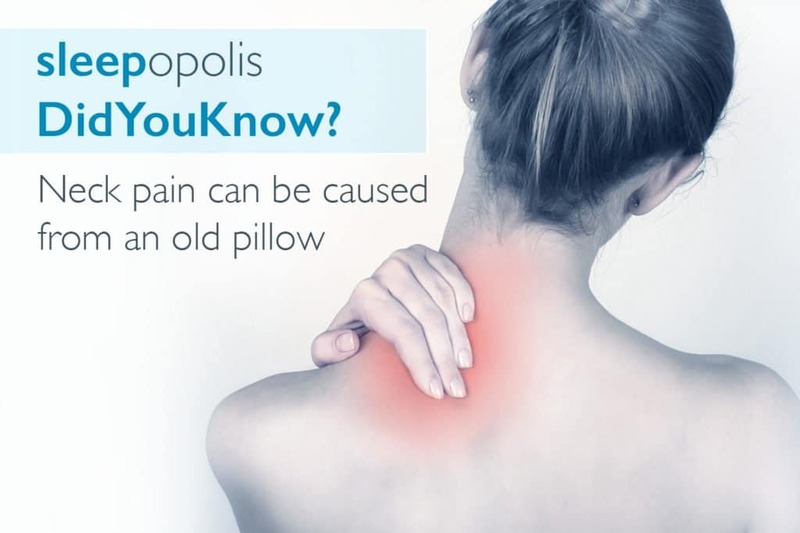 Did you know that neck pain can be caused from an old pillow? Poor pillow support can cause pain all the way down your spine. Different sleepers require different degrees or support and in different places. For example, side sleepers may need extra support around their hips and pelvis since there is more pressure there. Heavier weight sleepers need more support as well. For sleepers over 300 pounds, I generally recommend a mattress 12” or thicker to provide the depth you really need. Without proper support, it is impossible for your neck to maintain alignment with your spine, which is a critical part of whole body health and wellness. When you don’t keep correct spinal alignment or maintain correct posture, you will stress the joints, muscles, discs, and nerves of the neck. 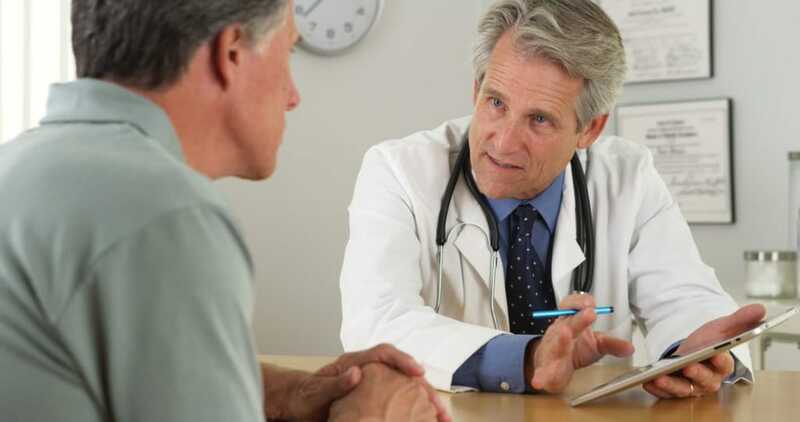 In time, this can lead to dysfunction, pain, arthritis, disc herniations, spasms, and headaches. Most of these issues will develop over time because of poor spinal alignment and posture. Many people will experience problems such as dysfunction, arthritis, and disc herniations developing before the pain or symptoms begin. Poor pillow support may also be a cause of neck pain. Different sleeping positions require pillows designed for different needs. It is not likely that a stomach sleeper’s ideal pillow would be the same as that of a back or side sleeper. 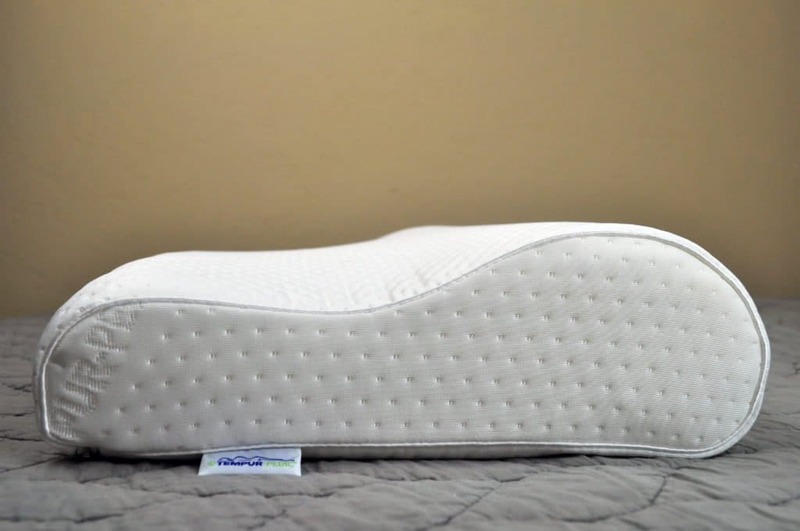 The best pillow for neck pain has good support and works with the mattress to account for its sinkage and keep a sleeper’s head aligned with the spine. In many cases, a stomach sleeper will be most comfortable with a low loft pillow, while a back or side sleeper may want to look for medium to high loft. The best position is your back and the second best position is your side. The stomach is the worst. But the most important thing is your pillow. If your pillow isn’t supporting you correctly and keeping you in correct posture, then it doesn’t matter what position you’re in because you will still be putting stress on your neck. Your pillow should be fully customizable to fit your specific size and help you achieve correct posture. The amount of support that’s needed (and where it’s located) will be different when you’re on your side versus your back. The pillow that you’re using needs to accommodate for this if you sleep in both the back and side sleeping positions. It may sound like a small issue, but if a sleeper consistently uses a mattress or pillow that has poor support or is too firm or too soft, neck pain may begin to generate, which may cause issues for other parts of your body as well. Sleepers who struggle with firmness issues may suffer from a dull or sharp pain in the neck as well as occasional numbness in shoulders or arms. Regardless of which firmness you prefer, it’s important to make sure that your neck and spine are always in alignment, after taking mattress sinkage into account. Because the spinal vertebrae of the neck is attached to so many descending parts of your body, the condition of your neck can have a lasting impact on the rest of your body. Two ways that neck pain impacts the whole body are known as compensation and referral pain. As you compensate because of your neck pain, you put stress on other parts of the body, which in time can lead to pain and dysfunction in those areas. Referral pain is the second [way that neck pain impacts the whole body]. This type of pain is a pain in another area of the body that is coming from the neck. These pains can come from the muscles, joints, vessels, and nerves of the neck. A good example is like having arm pain coming from the heart. The best pillow for neck pain could mean different things for different sleepers. So how do you know what is the best neck pillow for you? When shopping for the best pillow for neck pain, there are a few things to keep an eye out for, regardless of your specific condition: customization, design, and materials. The pillow needs to have a shredded internal fill that can be moved/added/removed to help each individual person achieve correct posture. A shredded fill could be memory foam, latex foam, gel foams, poly foams, or even an adjustable poly fiber fill. Each of these materials, although all shredded, will have a different feel and density. Adding more material will help to create a loftier pillow and provide more support. Back and side sleepers may benefit from a pillow with a medium to high loft. Removing material will create a pillow with lower loft—a nice option for stomach sleepers. A pillow should be contoured so as to accommodate correct sleeping posture in both the back and side sleeping positions. These positions require different amounts of support in different areas (i.e., back vs. side sleeping). 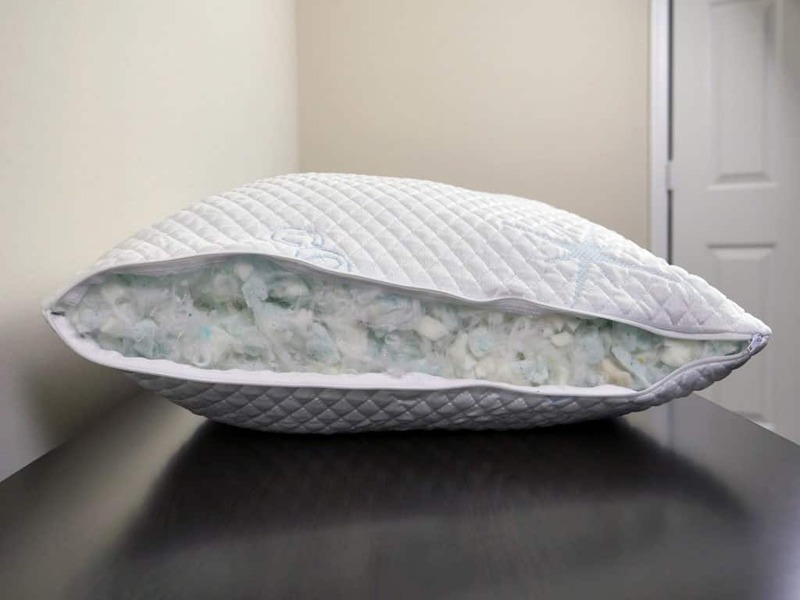 For sleepers who do not like the feel of an adjustable shredded fill pillow, there are also pillows that provide support through the use of contouring. A contoured pillow is not adjustable, but uses the molded shape of a piece of solid foam to provide extra support at concentrated areas. Some pillows have greater loft, but not necessarily greater density, like a natural goose down pillow. This type of pillow has more hug and is still considered supportive, even though it is not ultra-dense. Density does not always equal support. Consider your needs as well as the severity of your neck pain when selecting a pillow profile. Stomach sleepers need the least amount of contour, if any. 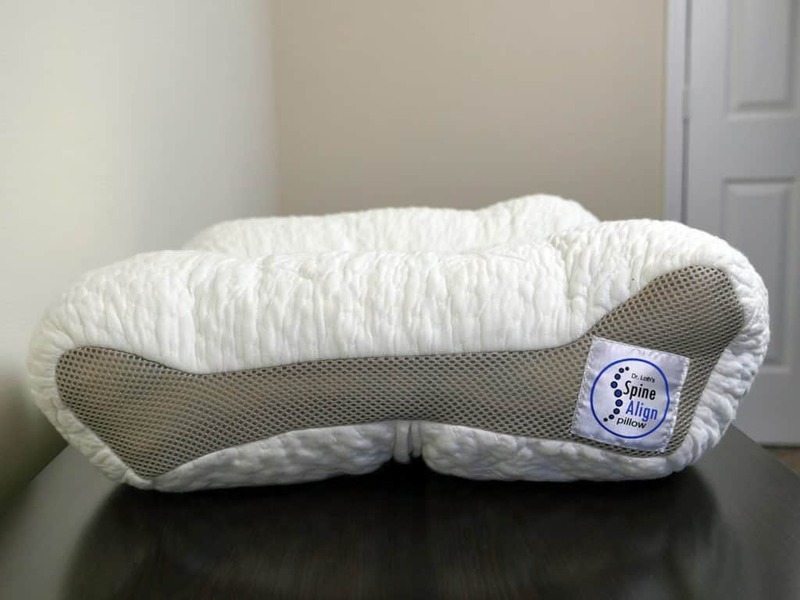 Choosing a low loft pillow helps your spine to stay in alignment with your back. Side sleepers need the most amount of contour. Look for heightened contour from your ear to the base of your neck. Back sleepers need a moderate pillow toward the back and more contour toward the front of the pillow (toward the spine). Look for a pillow that cradles your neck with loftier sides for the ultimate back sleeping pillow. The materials should be supportive without sacrificing comfort. Supportive materials along with a contoured design can help keep a person’s head and neck in correct posture. 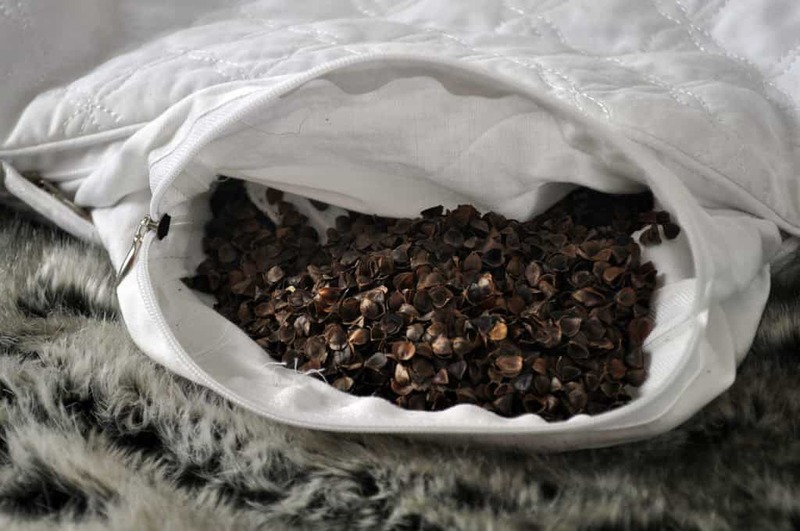 There are many different types of materials that make great neck pillows, from memory foam and latex, to natural goose down or organic buckwheat. When looking for a pillow with customization, contoured design, and supportive materials, there is a wide range of fill options. GUIDE: Want to know more about pillow materials? Check out our complete Best Pillow Guide! As mentioned above, shredded foam makes a great neck pillow because it is adjustable and allows each sleeper to add density and firmness where he or she needs it. Contoured foam is another great option. This type of pillow has the variation of an adjustable shredded foam, but the greater level of consistency since the fill cannot adjust. For a contoured pillow, make sure the profile of the contour matches the profile of your sleeping position.